All right, as promised starting from this month i’ll upload a wallpaper per month,for all visitors here for free! !which is from the best shot of the previous month. My main purpose is actually to keep my momentum up and polish my skill which i think this is one of the fast way and of course to let my visitors enjoy a new wallpaper each month with a CALENDER in it. Back to the main point, this month i’ll share my landscape wallpaper,which been captured during my winter trip to Sevilla Spain last December 2009. The name of the bridge is Puenta de Triana de Sevilla which is one of the main bridge in Sevilla ( there are a lot of bridge here, you’ll be amaze if you come visiting here ). Shot was taken during sunset and the real shot actually exactly like this one, just a minor treatment was done to keep the the picture clean. The history behind of this bridge i can’t really find it in the internet. Triana is a neighborhood in the city of Seville, Spain, across the river Guadalquivir from the center, and in fact the majority, of the city. Triana shares what is effectively an island (sitting between two arms of the Guadalquivir except for a narrow strip to the north where it is canalized under the ground) with Los Remedios to the south and La Cartuja to the north. The island is also named Isla de la Cartuja, and has been home to human settlement since before the Romans colonized Hispalis (Seville). Traditionally, residents of Triana consider the neighborhood to be an entity separate from the rest of Seville, as a result of its popular sense of identity. In reality, Triana forms an integral part of Seville, its culture, and its tradition. so…here we go..the overview of the wallpaper, just click on it and you can download it (size:1200×800 & 1900×1200). or HERE. If the wallpaper does not match your monitor’s resolution please tell me. I’m sure that all of you might ask what is this “Bucket List” means actually?? It’s actually my personal list of all the photos I hope that one day, i will get the chance to capture them,even i don’t know if i get the opportunity to do so,they are just my target and my ambitious. Maybe some of the list are little bit like a crazy stuff but what the hell…it’s my dream to shot the moment. So……………………………………..here we GO!! 1. Foggy trees by the mountain: Winter season is the best season to shot foggy landscape due to the high intensity of water in the air or something like that…but erm….you know what….i had been trying to shot foggy trees around my area here since last year…but i never come with a “WOW” result!! !After reading a lot of photography books….now i know the reason why….because to shot a foggy landscape…better you have a zoom lens so that the fog will be seen clearly if you shot quite far from the location.I have tried with my Nikkor 50mm but….still….never get the “WOW” result. 2. Pictures of War: to be specific….i REALLY…REALLY want to capture the moment people get shot by a gun or machine gun during war or something like that…..even i don’t love war. PEACE! !NO WAR!!! see that…it’s the big Moon!! !yeah..somewhere in the North Pole..there is a closest point and somehow you can see a big full Moon there! 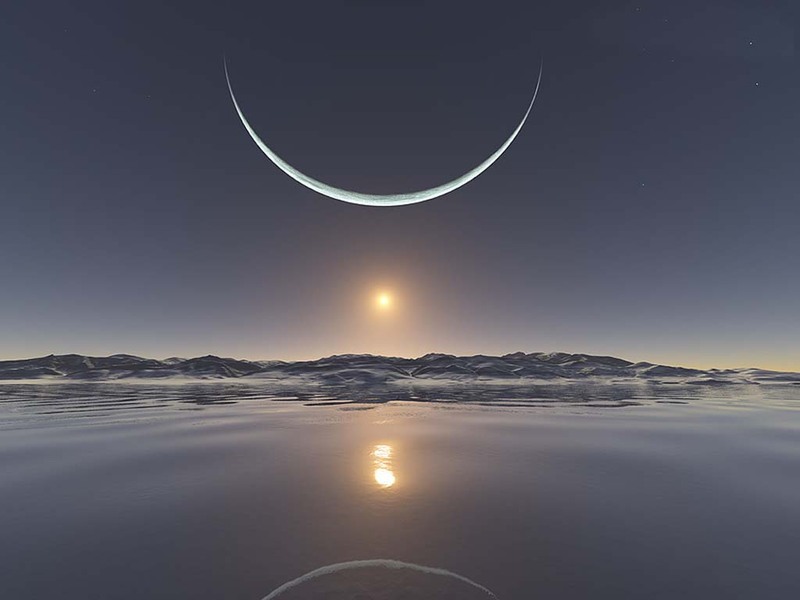 !that’s what i aiming for actually.A shot of Full Moon in North Pole. 5. Earth: Yes..Earth! I want to shot the Earth myself from the outer space! !I know we can easily google and search for the picture of Earth and taaaaa…daaaaa…you can get the picture easily. But i’m a greedy person..i want to have my personal shot of Earth! !It’s gonna be amazing..wow!! 6. Makkah or Mecca : I’m a muslim and as most of all of you know…Makkah is the holiest meeting site of the Islamic religion.Since child i have been dreaming to do my Hajj (pilgrim) at The Great Mosque of Makkah myself. As a photographer..i want to shot the The Masjilil Haram myself. 7. Run & Shot : This is a cool idea.It’s actually shots in slow shutter and i run like a crazy people in the middle of a street with a lot of people around and shots like crazy while running. ( i hope you get the point here) I think i’ll get some creative shots after i perform this stuff . 8. Jump & Shot : The same principal as point number 7…instead of running…why don’t we shot during the jump of Bungee Jumping! !Jump with a camera and shot and shout like crazy. p/s: For all the Landscape Lovers out there…something special for you guys this February. Hello….i have a good news for all my friends who visit my photoblog here. What is it?? ?Want to know?? ?jeng jeng jeng ( long silent )….. Starting on February 2010, you can download free wallpapers based on my photography for each month in this site!! All the wallpapers will be originally from my work and it’s actually the best shot of that month. I’m off for a while…for how long?? ?just till middle of Feb10 due to the exam period.